Geplak Bantul is one of the main dishes (still part of the Special Province of Yogyakarta).No doubt, this food Jogjakarta was confirmed that the sweet flavor of other food samples has been discussed in previous posts.No imaginary if Geplak become culinary bestseller in Bantul, the Province of Yogyakarta.Geplak be more delicious when eaten while after being taken off the stove cooking.While still new, they often utilize Geplak as favorite foods, and basic food substitute for rice and sweet jagung.Anyway very delicious.Geplak can stand for here (Bantul) can maintain love and taste Yogyakarta and its surrounding communities is sweety.Much sugar factory which was opened so as to make dreams regional cuisine Bantul, Yogyakarta tend to be active. Materials used in the manufacture of Geplak namely rice flour, grated coconut, sugar and sugar Java (seen predominantly sweet taste) is also nice to see my face really .... : D.You yourself know that sweets can increase the weight of people who want a more slim.Here are some favorite shops travelers in buying Geplak:Jalan Wahid Hashim, Bantul. His name is Yu Geplak Stack. The owner is Mr..Ciptodiharjo a continuing effort Stack Yu, the wife is now deceased.Yu Geplak Stack is renowned for providing a sense of Java sugar. Differences with other Geplak seller, Geplak Yu Stack continue to use baskets (boxes of plaited bamboo for its packaging). TIPA kilo sold for USD 7500.00 (less than U.S. $ 1). In addition to sugar, there are also available Geplak flavors vanilla, raspberry, and orange. If you want to enjoy a culinary tour to the processing plant Geplak Jogja, we recommend you visit Geplak Super Stores started in 1986, located in Orchard Bergan, Wijirejo, Pandak, Bantul, because it has recognized the quality, taste and cleanliness. prices were relatively cheap Geplak bersikar Rp15.000 - Rp20.000 per pack. 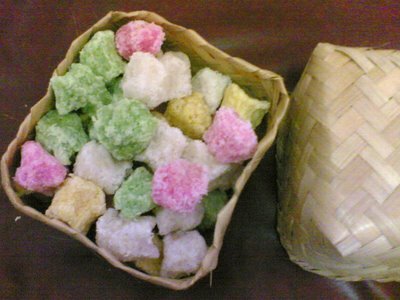 packaging is usually made of baskets measuring 20cm x 20cm giving the impression of a typical traditional Jogja. 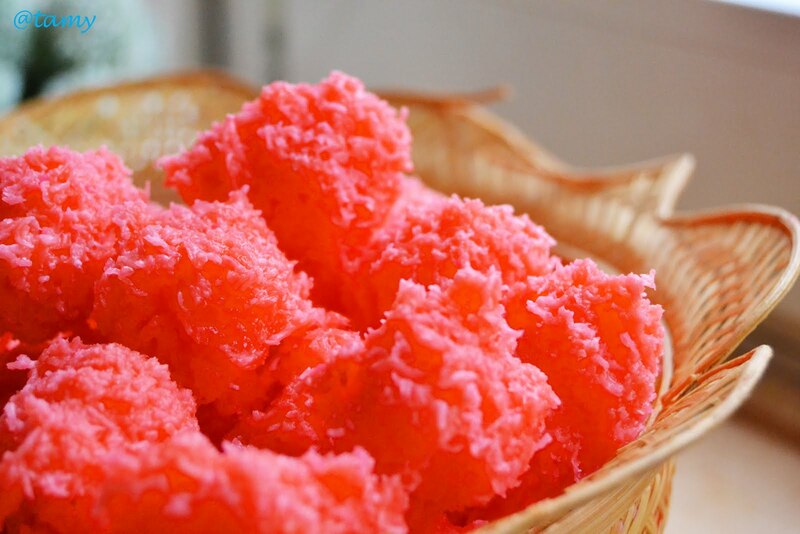 As for the holiday period, prices tend to rise Geplak.You Want to feel the sweetness of Geplak ???? ?